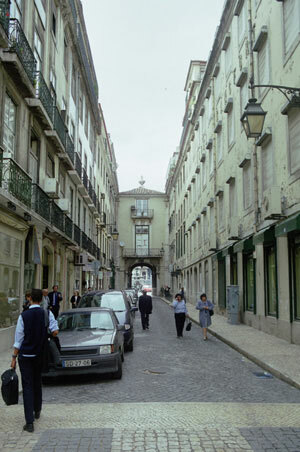 Lisbon is a charming place, and streets like this are common. 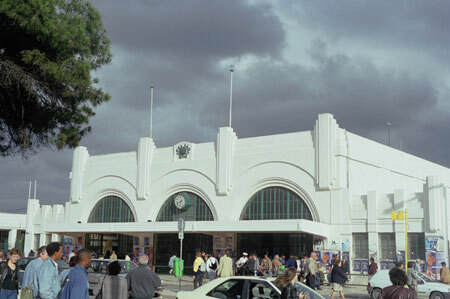 The buildings are fronted with small tile in pale blues, yellows and green. 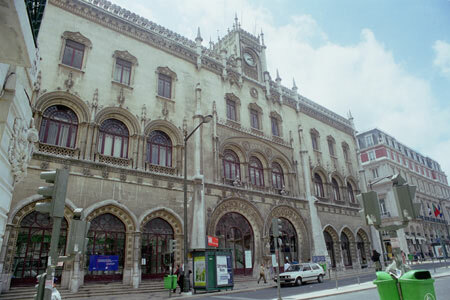 Tiling, called azuleo in Portuguese, is a recognized art, and there's actually a museum of tiling in Lisbon. These musicians visiting from Romania added to the atmosphere. 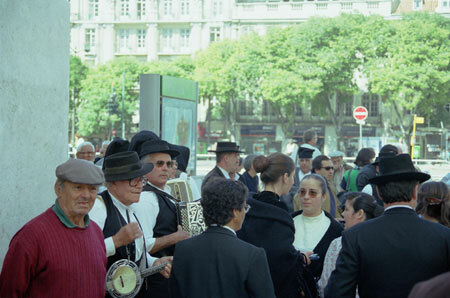 Elsewhere in the city there were local folk musicians, much younger, but also dressed in black. An interesting bit of architecture. It was being refurbished inside. 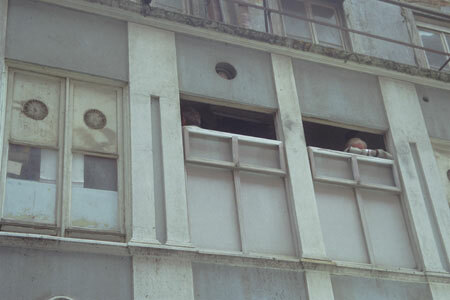 Bored out of their minds as the ooohs and aaahs come pouring from the screen, they hang out the back window to have a cigarette. They couldn't wait for the couple to light theirs. 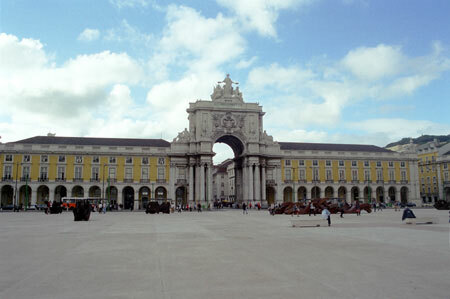 From 1511 till the earthquake of 1755, the site of the royal palace.